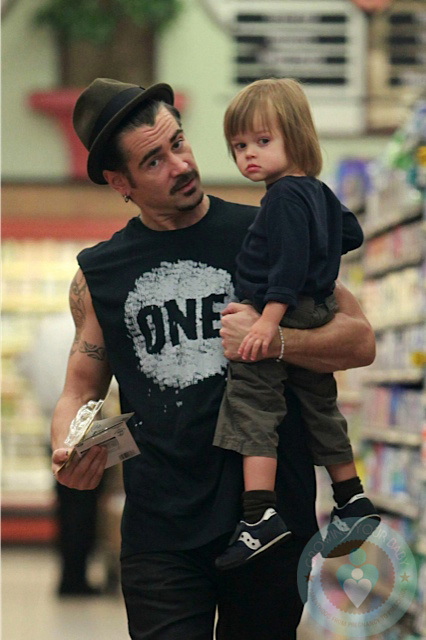 Irish hunk Colin Farrell was spotted out with his youngest son Henry, grocery shopping at Gelson’s supermarket in Los Feliz. The actor kept his little man close while he picked up a few items at from the store. Henry is Colin’s son with his former girlfriend Alicja Bachleda. He is also father to a son James, 8, from ex-girlfriend Kim Bordenave. David Beckham Celebrates His Win With His Boys! He is surch a great Dad.